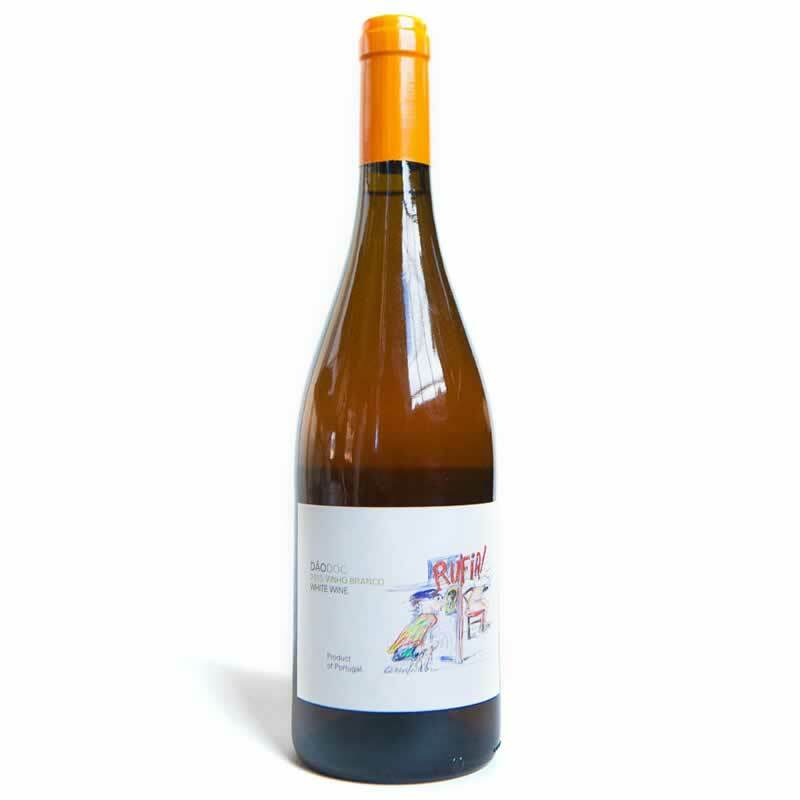 Rufia Branco is a blend the local varieties from Dao region in Portugal; Encruzado 30%, Cerceal Branco 20%, Malvasia Fina 20%, Arinto 15%, Bical 15%. 35 years old vines located in Joao’s Quinta. Organic farming respect for all the fauna and vegetation, no use of any pesticides or herbicides. Hand harvest in cases, in the winery press and spontaneous fermentation with indigenous yeast in stainless steel, follow by the malolactic, control of the temperature. With its lees for 9 months, no filtration, no clarification a bit of sulphites before bottling, total of 50mg/L. Soil is granite, schist, clay and marine sediments.